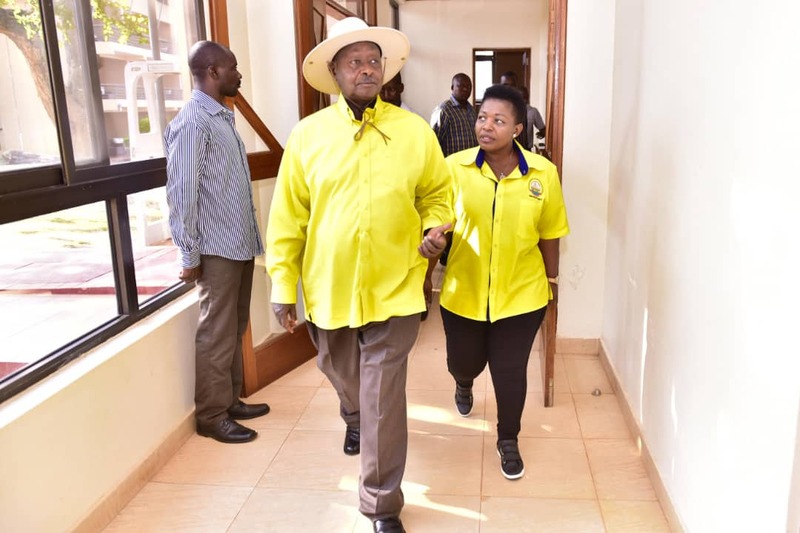 KAMPALA – A section of NRM MPs are divided over the move by the Party’s top organ, Central Executive Committee (CEC) endorsing President Yoweri Museveni as their next flag bearer for the 2021 general elections. Some of the MPs described CEC’s move as a non- starter cautioning the top organ against rushing with such matters but rather wait for the time of election of presidential flag bearer as stated in the NRM Constitution. Felix Okot, Dokolo North who harbours interest to hold the NRM flag bearer criticized the move made by CEC proposal arguing that the whole process was marred with conflict of interest and there is a possibility that the CEC members took the decision under duress. Okot said that the decision by CEC was done outside the NRM constitution and called on the top organ members to come out clean explaining if they have lost respect for the Party’s rules since the part Constitution is very clear on what should be done. “In our constitution, the names are presented to CEC, it is CEC that vets the names but not done in a reverse way. So they are all useless if that is what they did, it is all hopeless, it doesn’t stand. It is wrong in the wrong forum. You can’t be the President who invited them, then the same people endorsing him, that is conflict of interest, they have done it in duress,” said Okot. However, a section of some MPs backed the move with Ibanda Rwemurikya (Ntoroko) and Christopher Kalemba (Kakuuto County) said they will support the move as long as the Party members are consulted.